Indigenous people have "legitimate concerns" about how he should be remembered, the Scottish government said. NATIONAL ARCHIVES OF CANADASir John A. Macdonald, seen in 1890, was Canada's founding prime minister. 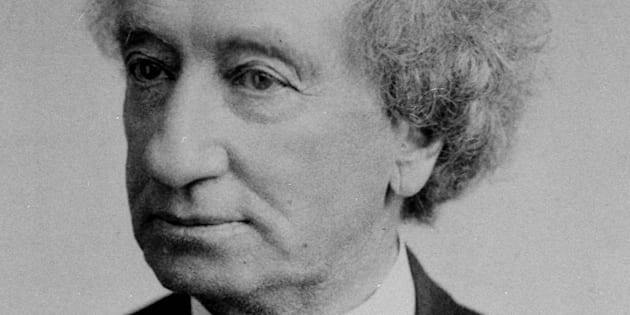 The Scottish government has removed articles about the legacy of Sir John A. Macdonald from its website, citing the concerns of Indigenous peoples in Canada. "While we want to celebrate the very positive contributions Scottish people have made across the world, we also want to present a balanced assessment of their role and are reviewing the wording of these articles in that light," the Scottish government said in a statement provided by media manager Tom Whittles. "We acknowledge the controversy around Sir John A Macdonald's legacy and the legitimate concerns expressed by indigenous communities on the commemoration of his life. The views of these communities must be respected." Debate over Macdonald's legacy has raged across Canada in recent weeks. 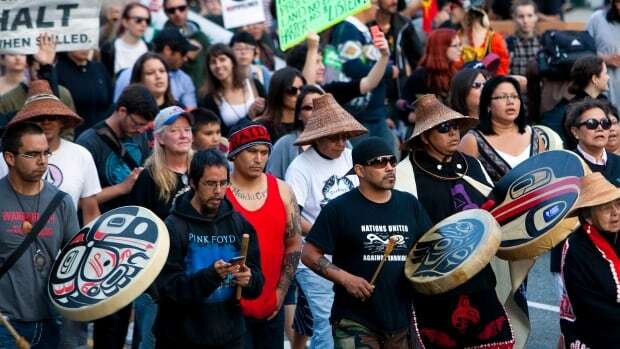 The City of Victoria removed a statue of Canada's founding prime minister as part of a project to reconcile with the Songhees and Esquimalt Nations. 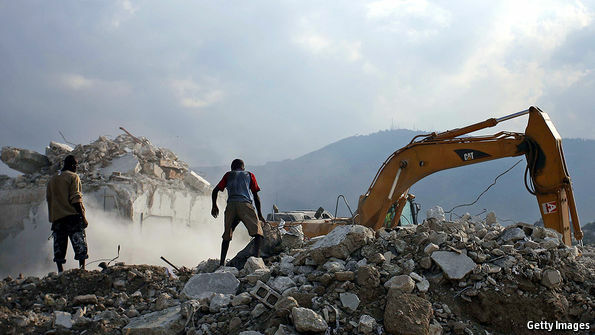 “THE gold rush is on!” That is how a cable from the American ambassador to Haiti described the descent of foreign firms upon Port-au-Prince in early 2010. An earthquake had flattened the city and killed hundreds of thousands. But a deluge of aid presented an opportunity. The message, released by WikiLeaks, noted that AshBritt, a Florida-based disaster-recovery firm, was trying to sell a scheme to restore government buildings, and that other firms were also pitching proposals in a “veritable free-for-all”. John Horgan didn't hold back while questioning Premier Christy Clark on a rather puzzling $150,000 donation that ended up indirectly benefitting her brother, Bruce Clark, President at Broadwing Renewables Inc.
A donation that appears to have no paper trail, policy, or even a record that the request for the donation was ever made. The donation went to a First Nations school in Haida Gwaii that oddly enough is under federal responsibility, not provincial, to complete a feasibility study on building a new gym for their school. It's also worth noting that there had already been two of these studies done on the same school in the past 10 years paid for by federal funds. While reading some of the exchange between Horgan and Clark (found here), I can't say I was too surprised to learn that an FOI into any and all communication related to this donation turned up absolutely nothing. So, like most things surrounding Clark and the B.C. Liberals, there seems to be a thick cloud of secrecy surrounding this decision. We are left with more questions than answers. GOTHENBURG, Sweden — Arturo Perez used to come home frazzled from his job as a caregiver at the Svartedalens nursing home. Eight-hour stretches of tending to residents with senility or Alzheimer’s would leave him sapped with little time to spend with his three children. But life changed when Svartedalens was selected for a Swedish experiment about the future of work. In a bid to improve well-being, employees were switched to a six-hour workday last year with no pay cut. Within a week, Mr. Perez was brimming with energy, and residents said the standard of care was higher. 'I recently found myself in strong disagreement with the prime minister on moral and professional issues,' Ya'alon says of his resignation from politics. 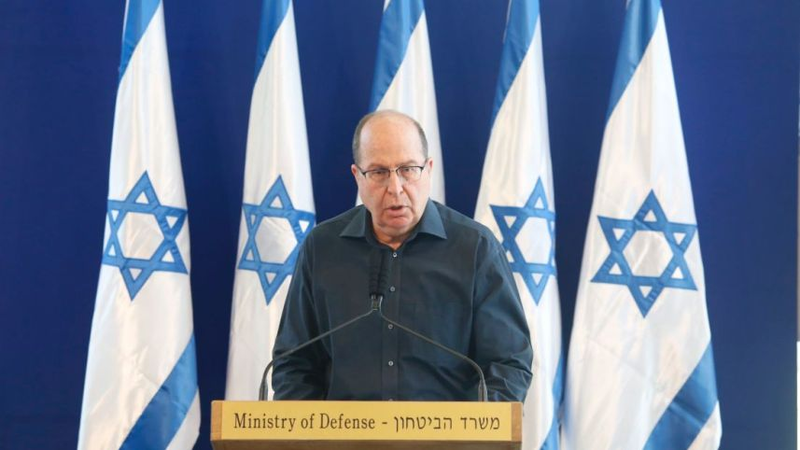 Extremist elements have taken over the country, Defense Minister Moshe Ya'alon warned on Friday morning as he explained his resignation from political life. "This morning I told the prime minister that I'm resigning from the government and the Knesset and taking a break from political life," Ya'alon said at the IDF's military quarters in Tel Aviv. "I have no intention of leaving the public and political life, and in the future will return to compete for the national leadership of Israel." "I saw before me the safety of Israel and its citizens in all of my acts and decisions, and the good of the country above all other considerations. This was so in security and professionals matters and in matters of values and rule of the law." The federal department that enforces Canada’s environmental laws is in such disarray that some officers say they have been ignoring infractions in order to keep in line with Ottawa’s “priorities,” according to an internal government report which is included in this article. The report by Gordon Owen, who is retiring at the end of January as head of Environment and Climate Change Canada’s enforcement branch, says a public service employee survey revealed serious problems that require immediate action. Premier Christy Clark has been accused of interfering in a local band election to help a candidate who supports a $10-million wind farm proposal involving her brother, Bruce Clark. During her visit to Old Massett, a small native community on the north end of Haida Gwaii, Ms. Clark announced at a public meeting that the province was making a $150,000 grant to the Old Massett Village Council (OMVC). The money is for a feasibility study of a proposed $4-million expansion to the 40-student elementary school on the reserve. The announcement gave a boost to the campaign of Mr. Rea, who has been a long-time supporter of Mr. Clark’s proposed wind farm. Spurred on by the U.S. FDA’s recent approval of genetically engineered salmon, the New York Times editorial board has, for the first time, come out in favor of GMO labeling. Do you think the tide is turning? A new scientific review in the journal Anticancer Research has identified 25 compounds that are found in foods and that have a tremendous capacity to kill cancer stem cells. There is evidence the RCMP broke the law while conducting a high-profile terrorism sting and must hand over confidential legal documents, says a B.C. Supreme Court judge. 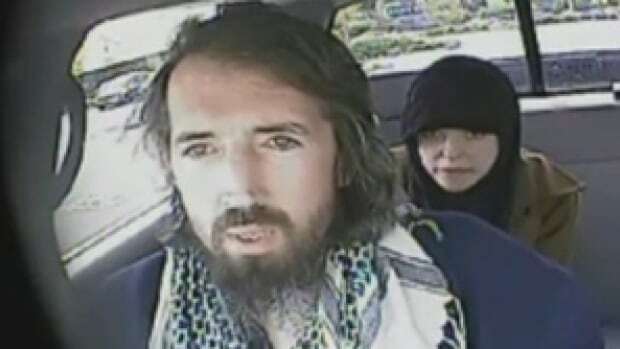 Justice Catherine Bruce has not yet ruled whether the RCMP entrapped John Nuttall and Amanda Korody into plotting to blow up the B.C. legislature in 2013, but she said in a ruling released Wednesday that the Mounties may be guilty of knowingly facilitating a terrorist act. IF YOU visit south-western Ontario and the Niagara peninsula you will see scenes of industrial decay. Steel mills, vehicle-parts factories and food processors sit abandoned, their car parks studded with tufts of grass. The region has the look of a rustbelt, and that has Canadians worried. In the end, it only took a $150 million scandal to make Americans care about soccer. FIFA, the notoriously corrupt and yet seemingly invincible governing body of world soccer, has finally landed itself an indictment that some would say is worthy of its reputation. The charges against a handful of senior FIFA officials include money laundering, racketeering, bribery and fraud. In short, the federal lawsuit alleges what millions of soccer fans have suspected all along: that FIFA officials have been using the organization's massive influence to line their pocketbooks. THE CANADIAN PRESS/Justin Tang/FilesPierre Poilievre. When Elections Canada mails out Voter Information Cards this fall, a new sentence in bold letters will appear at the bottom: Please note that this card is not a piece of ID. The last intact section of one of Antarctica’s mammoth ice shelves is weakening fast and will likely disintegrate completely in the next few years, contributing further to rising sea levels, according to a NASA study released on Thursday. (ANSA) - Vatican City, May 11 - Pope Francis said Monday that "many powerful people don't want peace because they live off war". This may be the beginning of the end for Canada's decade of conservative rule. 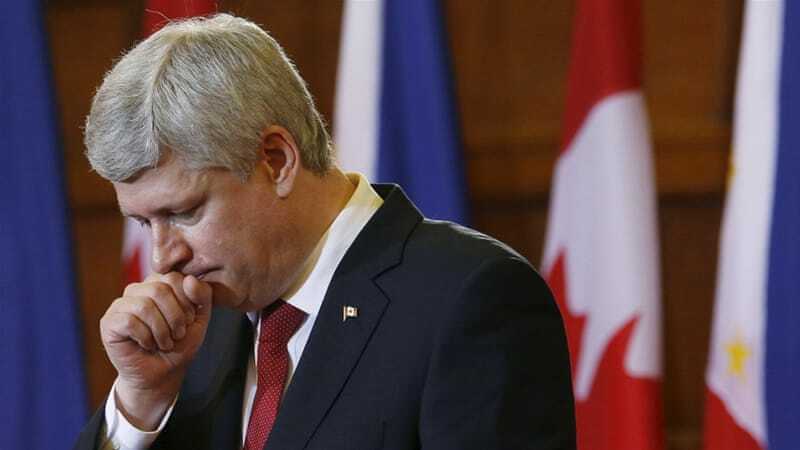 It's a good thing for Canada's Prime Minister Stephen Harper that he's been out of the country. The Wave e-bike is the world's most affordable electric bike that can 52 miles on a single charge with pedal assist mode! * This eBike can also go over 28mph! * They are one of Indiegogo's fastest and biggest campaigns and they have made national headlines all over the world!